Giving out wedding favors is something done year-round. A small token of appreciation will keep guests thinking cozy thoughts long after the celebration has ended. 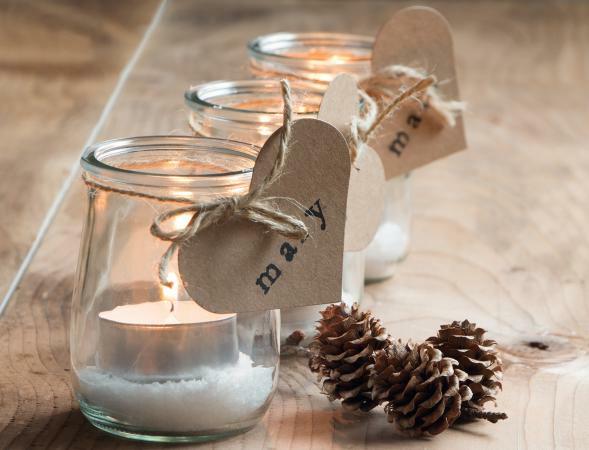 Make a simple votive with a light layer of "snow" at the bottom to give to each guest. 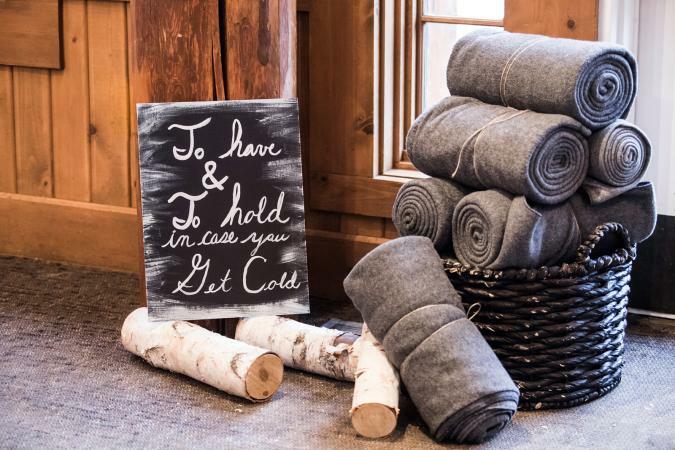 These are perfect for a country or rustic-themed winter wedding. If your wedding has a blue color theme, you could pick up votive candles that are blue to create an icy atmosphere. Print the paper tags with each guest's name. Punch a hole in each tag. Put faux snow in the bottom of each clear jar. Nestle an LED votive in the snow. Tie twine around the jars' mouths and loop the favor tag through. Make a small plaque out of string art that will remind guests of your wedding all season long. The simpler the pattern you select, the quicker you will finish the art pieces. 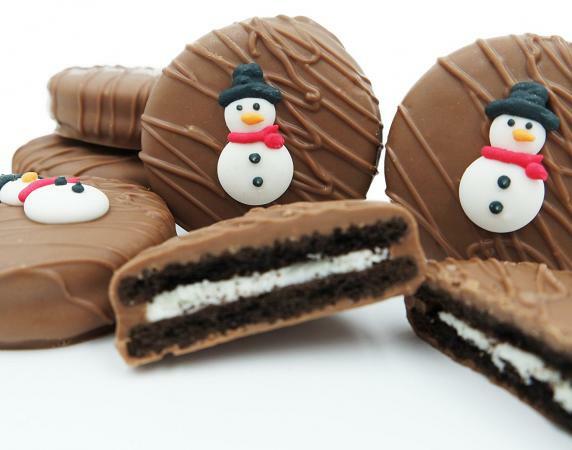 Don't worry about perfection here; you want each one to be a special piece for each guest. Lightly trace your snowflake pattern on to each of the plaques. You don't need to trace the details inside the pattern because that will be covered by string. Just trace around the outside of the snowflake. Put a nail at each main point and space them out appropriately, with less than 1/2" between nails. Use the hammer to secure them. Tie the end of the string around one nail and use a light dot of glue to secure. Wait for it to dry and then continue. Start weaving the string back and forth across the snowflake until you have fully covered the space between the nails. You don't need to have a pattern; instead, make string art using freehand designs to create a unique favor for each guest. 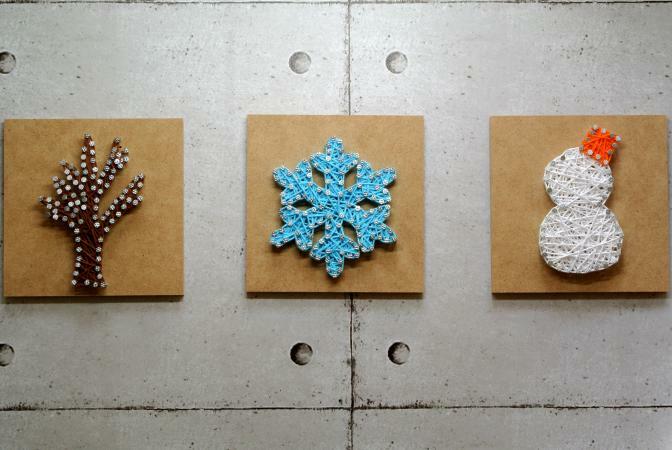 Once the snowflake is complete, tie a small knot around the final nail. Use a dot of glue to secure. It doesn't matter what kind of favor you give at your wedding. Regardless of what you choose, guests' hearts are sure to warm at the idea you remembered to thank them for their support on your wedding day.